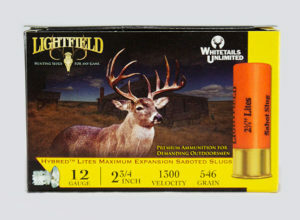 Lightfield Hybred MAG-20, 3″ 20 ga. 385gr. 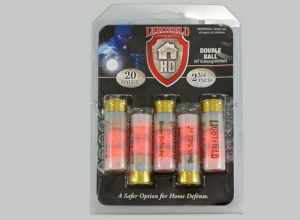 When using a 20 gauge firearm and maximum power is desired the 20 gauge 3″ Hybred Mag-20 has the same great quality as our original Hybred Series with a larger punch! The Hybred MAG-20 incorporates a post wad acting as a stabilizer and the sabot is “keyed” to the slug which assures maximum torque, rotation, and velocity translating into better down range trajectory and exceptional accuracy. 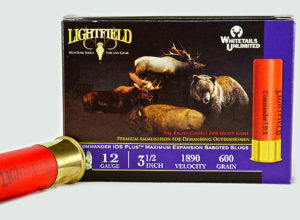 The Mag 20 uses a 7/8 oz (385 grain) 54 caliber slug (not a pistol round) which provides 2470 ft/lbs at the muzzle and an impressive 987 @ 150 yards. TKO= 57 for maximum knock down power. The Hybred MAG-20 is the newest member of the SameSite Family. SKU: LF3-M20. 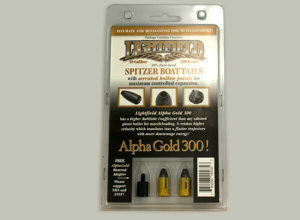 Categories: Ammo, Lightfield Hunting.